Black Friday 2018 vinyl deals: The best record deals around | What Hi-Fi? As you must be aware, Black Friday is well and truly upon us. And vinyl isn't out of mind as it was throughout the noughties. With vinyl being the physical format of the day, there’s discounts and deals across from some online retailers. Record Store Day has already announced its special vinyl releases, and Amazon has a blank ‘Black Friday Deals Week in Music’ page ready to be filled with vinyl deals anytime now. RSD’s version of Black Friday is ‘an excuse to celebrate the specialness of music in our lives by putting out these unique releases… cheapness is not a main goal’. So while the event will make available limited, often-numbered special edition vinyl albums on Black Friday, don’t be expecting cut-throat prices or big discounts. Unlike the special releases for Record Store Day’s main event in April, which are made to be sold solely at independently owned record stores, the Black Friday releases are made for the Christmas shopping season. Record Store Day are currently set to release 158 titles – about 10 per cent of the number of titles available on Record Store Day itself – on the day itself, although this figure could change in the lead up to Black Friday, and some may be available throughout the rest of the year too. 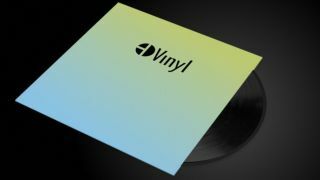 The list of special releases are a mix of exclusives (physical copies released only at indie record stores), RSD ‘firsts’ (may be released to other retailers in the future) and ‘small runs’ (regionally based and sold at specific stores, or are press runs under 1000), and can all be found here.